Queen Bey steps out for art. On Saturday (Apr. 29), Beyoncé attended her mother Tina Lawson’s inaugural Wearable Art Gala at the California African American Museum in Los Angeles. With her husband Jay Z by her side, ‘Yoncé had the beautiful maternal glow that comes with carrying twins. The Carters were fittingly stylish as usual. While Hov rocked a dapper white and black suit, Bey wore an elaborate floral crown with a stunning red dress, showing off her baby bump in the process. Meanwhile, their daughter Blue Ivy wore a sparkly pink dress. Bey didn’t just attend the event. The superstar — who recently launched her Formation Scholars program — also reportedly donated two Coachella 2018 festival tickets, backstage passes, and her tour mic to be auctioned off at the gala. 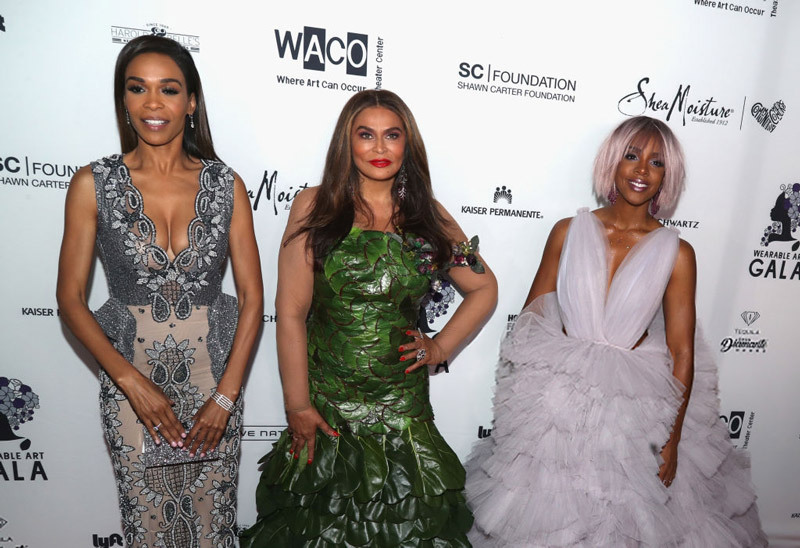 The event also acted as another mini Destiny’s Child reunion, as Kelly Rowland and Michelle Williams were also on hand for the celebration. The prior night, Queen Bey and Kelly attended actress-turned-mogul Jessica Alba’s 36th birthday bash in the City of Angels. The star hosted a Prince vs. Michael Jackson-themed costume party, and ‘Yoncé wore a silver jacket and black top with a fedora, fittingly paying tribute to MJ.